AEW’s first actual event will take place in Las Vegas on May 25th. 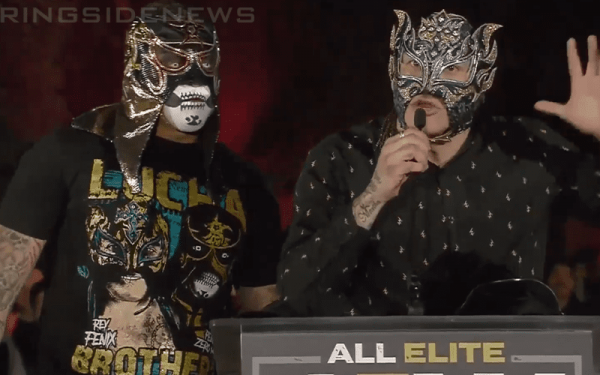 All Elite Wrestling’s Double Or Nothing will mean just as much as ALL IN, if not more. Because this show will be the new company’s first chance to show what they can do. There is said to already be heavy television interest in the product, and The Elite was reportedly meeting with Turner while in Atlanta for the Super Bowl. 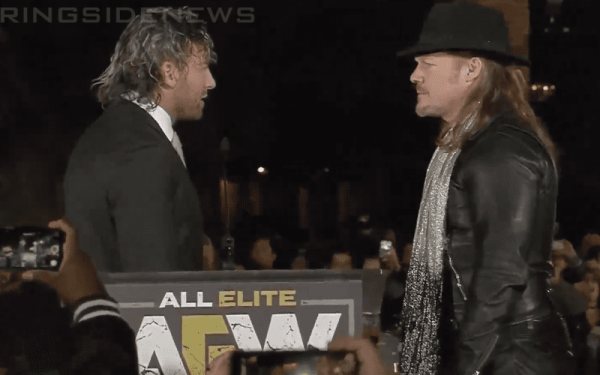 AEW’s ticket release party was set to include some big announcements, but fans weren’t sure exactly what they would reveal. Sonny Kiss started things out by revealing that he will be at Double Or Nothing. Kiss wrestles in Lucha Underground as Xo Lishus. Then Cody came out to speak about the revolution that is AEW. He brought up the partnership with OWE and then he announced their partnership with AAA which we previously reported. He announced a presale sign-up at All Elite Wrestling’s new website. He said tickets will be available on February 13th, 2019. 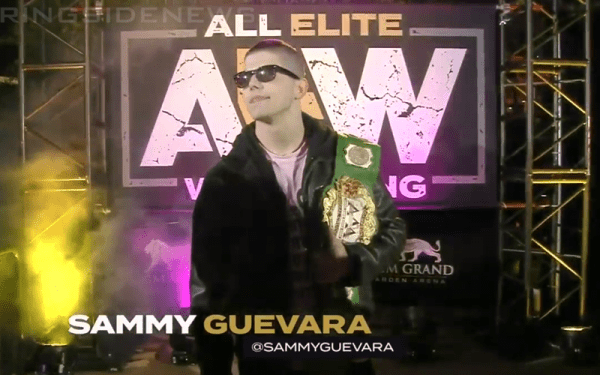 Then he introduced AAA Cruiserweight Champion Sammy Guevara who came out to cut a mean promo. Hangman Page was introduced next and he wasn’t wearing full gear at all. He apologized for being covered from head to toe and he promised to get in better shape. Suddenly, Pac interrupted and cut a promo via cell phone. Pac vs Hangman Page will happen at Double Or Nothing. Page said it’s too bad that Pac couldn’t be there, but he’s doing what he does best, sitting at home. Matt and Nick Jackson were introduced next and Nick immediately asked the crowd to excuse his brother because he didn’t go to college. They were there to talk about tag team wrestling. Matt said that their goal is to give fans the best tag team division in the world. Then Nick Jackson introduced the Best Friends Chuckie T and Beretta. They cut a promo about coming to AEW because they will have the best tag team division in wrestling. Then they hugged. Suddenly, The Lucha Bros came out. Pentagon and Fenix approached the stage and then Fenix laid out Nick Jackson with a superkick and Fenix his Matt with a Pentagon Driver. Fenix cut a promo in English. He said that they are in AEW to prove that they are the best in the world. Then Pentagon Jr cut a promo in Spanish. It was pretty intense and the crowd was eating it up. It looks like we now know if tag team wrestling can main event because The Young Bucks and The Lucha Bros are going to do battle at Double Or Nothing. Brandi Rhodes came out next and got the crowd to give a “Happy Birthday” to her brother Jason. So that’s what the crowd did. Rhodes said Yuka Sakazaki and Aja Kong are going to be joining them at Double Or Nothing. Then she introduced Kylie Rae who was a total babyface and over with the whole crowd. She took off her coat and got a “Holy Sh*t” chant when the crowd saw her dress. Before Brandi left, she brought out Nyla Rose. She meant business from the start. Rose got in Rae’s face, but they walked off without any kind of physical confrontation. The AEW women’s division is looking strong so far. It was SCU’s turn next. They were there to announce the Double Or Nothing after-party called SCU All Night. That should be wild. Excalibur was also there and introduced an OWE highlight video. OWE representatives came out and they promised to bring Kung-Fu to pro wrestling. Cima was also there and Christopher Daniels told him to get two of the best guys from OWE and stand in the ring with SCU at Double Or Nothing. So that match is happening on May 25th too.